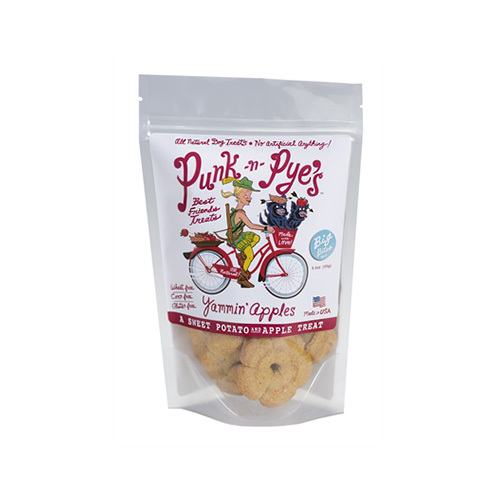 PUNK-N-PYE’S Best Friends Treats come in 5 delicious flavors! We created our recipes to be unique and we crafted them from meals that WE actually eat. 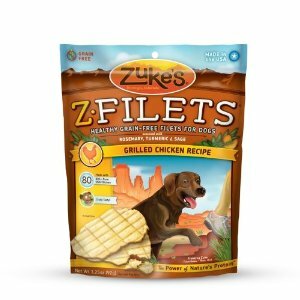 They are designed so you can eat with your dogs, not so your dogs can eat with you. 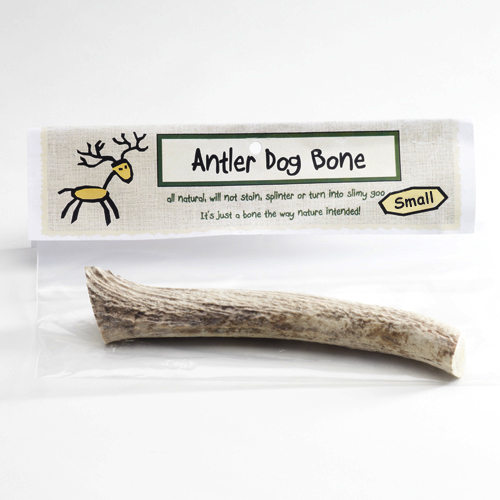 They are conveniently designed to break into five smaller pieces, perfect for training or extra treat giving. Each cookie is five-treats-in-one! 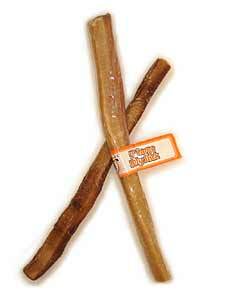 All of our treats are double baked! 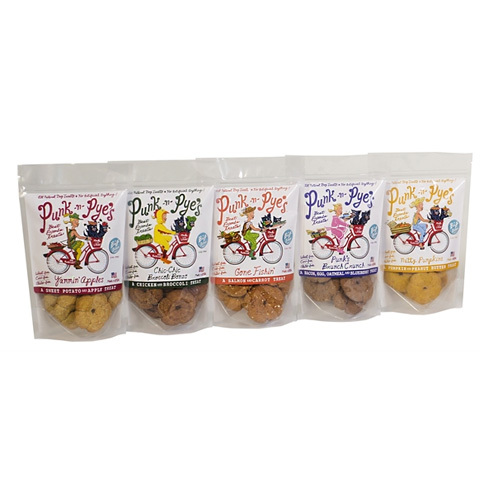 Our baking process is simple; because we want to make the healthiest dog treat you can find, without any preservatives, we slow bake them twice, to remove all the moisture.